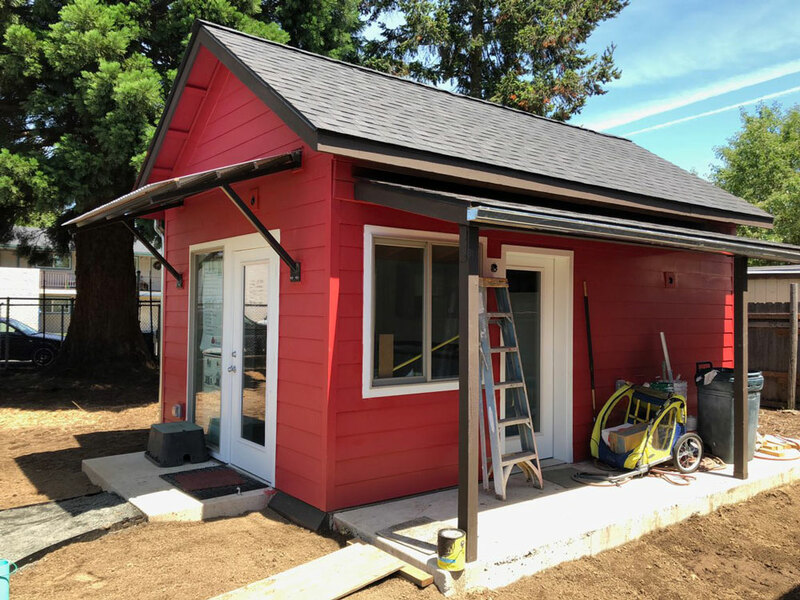 Architecture Professor Michael Fifield designed this tiny house in Emerald Village Eugene to be the new home for the Madison family. View shows the south-facing porch shortly before completion. Architecture professor Michael Fifield’s tiny house just got its forever family! Part of the new Emerald Village Eugene, a project of Square One Villages, Fifield’s tiny house will be home to Gary and Pamela Madison. Gary is rebuilding his life and looking forward to living sober in this new home. "Thanks to all of the other Emerald Village Eugene folks involved in this project, especially Essex General Construction, Inc. and Dustrud Architecture, who went beyond the expected on my house to get it built. All was done pro bono! It takes a team to make a village," said Fifield. Learn more about this labor of love.